Connect with yourself on levels never known before, gain invaluable insights into the psyche, receive creative solutions and much more… we invite you to dive into the never ending rewarding journey of Reiki & Energy Healing! We shall focus on Svadhishthana, the Sacral Chakra – all about awakening our creativity and joy, plus also to embrace our sensuality and sexuality. We invite you to come learn playful and efficient ways in a safe, non-judgemental and super supportive environment with like-minded folks, especially to benefit from the empowering group energy! All warmly welcomed, no experience needed. Just bring an open heart and kindly WEAR SOMETHING ORANGE to fit the theme,thank you! C u there! Nicholas got his first Soprano Saxaphone on February 1, 2000 in life . He fell in love with it from then on. In 2002 he began to play Alto Saxaphone and joined orchestra in university playing classical and modern orchestras. In 2005, he won the Gold Medal of Shanghai Spring International Music Festival Orchestra Competition and the Golden Award of China Non-professional Excellent Orchestra Performance Competition. Since 2008, he has joined the Cardinals, the Shanghai Shamans, the Dovetail Joints, Moon Walker Jazz Band and so on, and began to play another styles of music, including reggae, jazz, BLUES, etc. These bands played at some live houses, such as The Melting Pot, Kevin’s Jazz Bar, live Bar, and so on, as well as performed in a variety of music festivals. In 2014, he was a popular sax player performing with candidates of Chinese Talent Show in the Shanghai Starlight Concert at Expo Park. 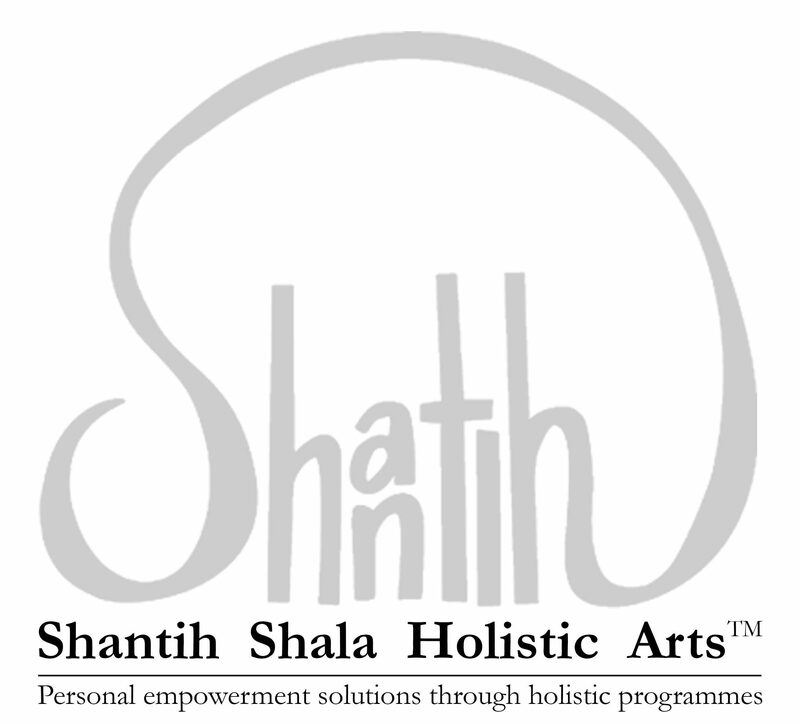 Nicholas firstly came into contact with Josephine and Shantih Shala Holistic Arts (SSHA) in 2016. He was attracted by its uniqueness and then began new journey into meditation music from then on. The versatility of his playing proves to be a much appreciated and skilled asset whereby all genres of music can be improvised and enjoyed by all. Dear Jo, I absolutely loved the session the other night. It was good to get the inner animal out of the prison and also throw away the mental garbage before sitting down for real meditation. I find such dynamic meditations to be very effective so I will be looking forward to joining these sessions in the future. Many thanks for organizing it! What is the Yoga Fundamentals Immersion Course? Just as a building could not stand without a solid foundation, one could not possibly progress to a good practice without acquiring the fundamental knowledge first. Over this 5-week journey, you will learn basic, simple and practical skills that include the practice of Asana, Pranayama, Meditation, Chanting, Kriyas and Bandhas. We warmly welcome you to join us in learning, exploring and designing your own building blocks for a safe, stable and fun self-practice. 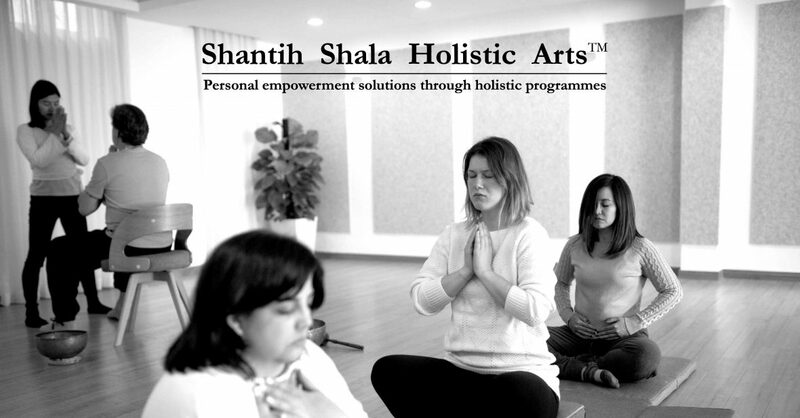 The Yoga Fundamentals Immersion Course is categorized as the [BODY] practices, under the theme of MBH [MIND] [BODY] [HEART] ~ forming the pillars of Shantih Shala Holistic Arts. Who should join the Yoga Fundamentals Immersion Course? Anyone who is interested in discovering, healing and empowering the [MIND] [BODY] [HEART] to enhance general wellbeing, deepen their spiritual path and of course, meet like-minded souls will benefit from this course. No prior experience is needed; suitable for beginners and for anyone wishing to relearn the primary skills in a Yoga practice. For experienced Yoga practitioners and teachers, this could also serve as a reminder to emphasize on creating a safe practice, learn to be responsible for ourselves and others. Why makes the Yoga Fundamentals Immersion Course special? The teachings in this course can be applied across other energy-related disciplines including Tai Chi, Qigong, Dance, Meditation, physical exercise and so on. Plus, other techniques from Intuitive Bodywork © will also be incorporated to enhance our practice further. These practical skills could also be applied in your everyday life to encourage a healthy posture, moving safely, preventing/managing injuries and enhance your existing practice. Classes will be held The White Room, an intimate home studio located at the heart of the city, Xujiahui. To maximize efficient learning and focus for personal attention, class sizes will be kept small. Practice sessions, group discussions, interactive exchanges and homework will be assigned to help us remember better while making it fun! FAQ: Can I join just one workshop? All workshops can be taken independently, however we strongly recommend completing all 5 workshops (over 5 consecutive weeks) to fully take advantage of the courses in order to deepen your learning experience. Priority will be given to those who register for the full course. We hope to begin this journey of self-exploration and empowerment with you! I very excited to welcome back my mentor / fellow healer friend Akiko to Shanghai! Highlights include the Antique Singing Bowls Foundation Course, Kundalini Reiki Courses, Private Group Healing Sessions and MORE! Don’t miss this chance to study with an experienced teacher who walks the talk and ready to share her ways of wisdom. Please see below for more info, contact us for details and bookings. Looking forward to share this unique experience with you soon! This 4-day course over two weekends will give you the foundation to be able to use with one bowl of the Seven Chakra bowls for self-healing and healing of family and friends. You will learn the theory, techniques with ample practicing time during the course. Level I: Cleanse and open the Heart, the upper three Chakras and the hands. Students learn a Mantra to activate Reiki energy. Level II: Cleanse and open the lower three Chakras and enhances the Heart Chakra and the hands. Students learn a Mantra to activate Kundalini Fire energy. Level III: Enhance all of seven Chakras and learn the final Mantra to heal specific issues. Reiki is a Japanese word that means ‘Universal Life Force Energy’. Simply put, this ‘hands-on’ therapy restores our physical, mental and emotional imbalances into original state of wellness. Once you learn the technique on how to channel the abundance of natural resource that is energy, it will be with you the rest of your life as a way to heal yourself, to heal others and any living beings such as animals and plants. It is not based on a belief system of any sorts – but simply follows the natural law of physics. You can be a conduit of Reiki energy so long as you do your daily practices. Come practice Meditation with us and experience the soothing, grounding and healing vibrations from the powerful ancient singing bowls that corresponds to our major 7 chakras. All warmly welcomed! All proceeds of the evening will be donated to The Little Elephant project (an NGO) via Shima Healing, in partnership with SSHA. Donations are greatly welcomed & appreciated too! The seed for growing and learning with children and teens was first planted in 2009, during Akiko’s time at the Nepal Angels Home, an orphanage in Kathmandu. The name Little Elephant represents passing on of healing wisdom to the next generation. Elephants are highly intelligent creatures which are also the symbol of Thailand. In ancient Himalayan beliefs, the elephant god Ganesha is the remover of obstacles from our souls. The word “Little”in the name represents offspring, and expresses the essence of the Little Elephant project, which is to nurture the next generations to be custodians of ancient healing wisdoms. The birthing of the Little Elephant Project (LEP) came with the arrival of Akiko Igarashi on the island of Koh Yao Noi in 2010. Since then, the local community on the island has received holistic healing when they are in need, experienced yoga in the village school, participated in village clean-up campaigns led by Shima Healing, as well as gifted toys and snacks annually on Children’s Day. Arrange your own private group to enjoy a customised session, including channeled messages from the meditative antique Singing Bowls and group energy. Available for booking up to 6 person, based on a first come first serve basis. Please kindly contact us for details and bookings. Come experience the art of sharing, giving and receiving positive energy without expectations. Everyone warmly welcomed, including those without any experience and healers too. Open to anyone who would like to try Energy Healing, no experience required, just come with an open heart! Classes will be kept small to ensure quality delivery and maximize efficiency, kindly book in advance to reserve your space thank you! We shall focus on Muladhara, the Root Chakra – all about awakening our animal, basic instincts to ground ourselves, feeling safe, protective, safe, stable and supportive through our tribe and network. Come be enlivened and empowered by the intoxicating group energy! All warmly welcomed, no experience needed. Just bring an open heart and kindly WEAR SOMETHING RED, thank you! C u there! Young began his musical journey as a percussionist in 2007. Since then he has been studying and performing in art troupes, specializing in Caribbean, African and Shamanic drumming that ignites his passionate spirit from within. Young also started practicing Yoga since 2017, teaching him to incorporate the power of the breath, movement and meditation into his body and its natural rhythms as with the beats of his drums and instruments.